Dr. Anita Afzali is an Assistant Professor of Clinical Medicine and a Gastroenterologist that specializes in Inflammatory Bowel Disease (IBD) at The Ohio State University Wexner Medical Center. She is the Medical Director of the OSU Inflammatory Bowel Disease Center and holds the Abercrombie & Fitch Endowed Chair in Inflammatory Bowel Disease. She received her medical degree from the University of Washington School of Medicine. She then completed her Internal Medicine residency and a Gastroenterology fellowship at the University of Washington in Seattle, WA. While in fellowship, Dr. Afzali worked in outcomes research and epidemiology, and also graduated with a Master’s in Public Health (MPH). Her sub-specialty training includes a one-year advanced IBD fellowship at the University of Washington, prior to becoming faculty at UW Medicine. While practicing at the University of Washington – Harborview Medical Center, Dr. Afzali served as the Director of the IBD Program and Associate Medical Director of the UW- HMC Gastroenterology Clinics. Her research interests include clinical outcomes and risks of IBD therapy, pharmacoepidemiology, pharmacoeconomics, as well as the impact of race/ethnicity in IBD, pediatric-to-adult transition, and women of childbearing age with IBD. In collaboration with Seattle Children’s Hospital, she has developed the first Pediatric to Adult IBD Transition Clinic in the Northwest. She has had extensive peer-reviewed publications, is an invited lecturer on national and international programs, and serves as an expert thought leader on several national and international advisory boards and panels. Dr. Afzali serves on several committees including a committee member of the Crohn’s Colitis National Professional Education Committee (NPEC) and the Clinical Research Alliance (CRA) in IBD. She was also an invited clinical faculty for the Advances in Inflammatory Bowel Disease (AIBD). Fellowship to the American College of Gastroenterology (ACG) was recently awarded to Dr. Afzali for her significant professional achievement and superior competence within the field of gastroenterology and inflammatory bowel disease. Inflammatory Bowel Disease (IBD) affects 1.3% (~3 million) of US adults (either Crohn's disease or ulcerative colitis). This percentage of diagnosed patients with IBD increased from 0.9% over the past 15 years. Patients with IBD frequently have recurrent symptoms with considerable morbidity. IBD treatment generally involves medical treatment including aminosalicylates, corticosteroids, immunomodulators, and biologics. If necessary, the damaged parts of the gastrointestinal tract can be removed through surgical treatment. In this webinar, Dr. Anita Afzali MD, MPH, FACG, will review the basics of IBD, including epidemiology and pathophysiology; present treatment strategies and therapeutic disease target goals; and share strategies on a health maintenance plan and practice preventative care for the IBD patient. 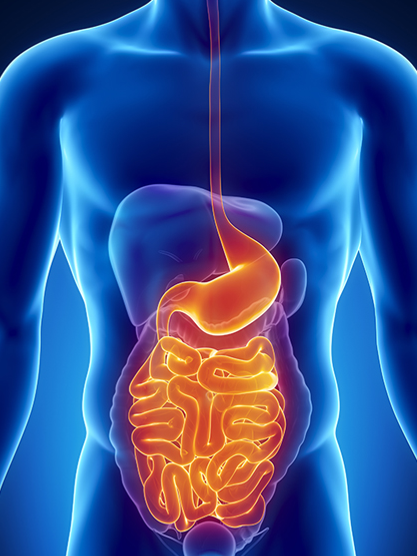 Review Inflammatory Bowel Disease (IBD) 101, including epidemiology and pathophysiology. Understand treatment strategies and therapeutic disease target goals. Develop a health maintenance plan and practice preventative care for the IBD patient.